Du 14 au 20 novembre 2015, la troisième et dernière activité du Work Plan 2015 intitulée « Inclusion Train » a rassemblé 24 participants de 15 pays différents. Ce séminaire d’évaluation de la campagne « Inclusion Express » était aussi itinérant puisqu’il s’est déroulé entre Strasbourg (France) et Bruxelles (Belgique). Article écrit par Francesca Vinciguerra de l’association Affabulazione (Ostia, Italy) et participante à l’activité. 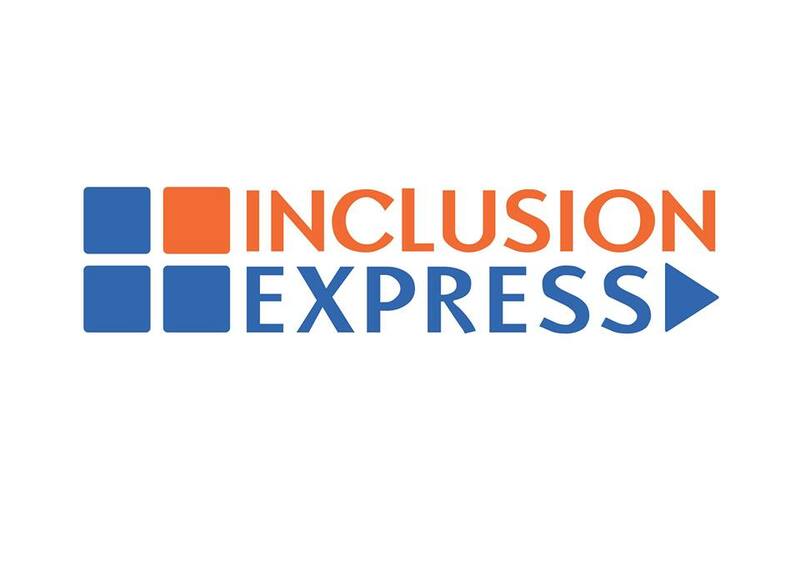 « From the 14th to the 20th of November 2015, took part in Strasbourg and Brussels the « Inclusion Train » mobile seminar, fourth and last step of the « Inclusion Express » campaign about Social Inclusion and Social Rights. The first study session and the other two seminars of the same campaign were in Milcoveni (Romania, on July 2014), Brčko (Bosnia et Herzegovina, on April 2015) and Budapest (Hungary, on July 2015). During these days have been involved 25 people from many and different realities and countries inside and outside Europe: Armenia, Azebaijan, Belarus, France, Greece, Holland, Italy, Kosovo, Lithuania, Macedonia, Romania, Spain and Turkey. The participants were young people (members of a specific association), youth social workers, or individuals, and everyone was already active in the local reality about this kind of topics and inclined to the sensitization and diffusion of these ones. From the first beginning the main aim was to include everyone of us in an atmosphere of sharing and connection that has kept us together till the end of the project. Among us there were people who had already participated to one of the others three steps, so it has been our task to inform the new members about all the activities and all the primary aims which had been reached in the past. Another interesting and important part of the project was the one dedicated to the visit fields of local organizations, such as Community Center “Elsau”, in Strasbourg, which works on educating and helping disadvantaged people or refugees to find a job. The center is situated in one of the most sensitive neighborhood of the city. In Brussels, we visited the organization « Cultureghem », where has been developed a great idea about the creation of a total free market for people with fewer opportunities and created some activities for the children who live there or outside that neighborhood. Le séminaire « Light Your Rights: Reveal the Social Value of Youth Work » est une activité du R-E-J / Y-E-N avec le réseau internationale ROOTS & ROUTES (R&R). Elle a rassemblé 22 participants, représentants de 17 associations de 9 pays différents. Cette activité s’est déroulée du 2 au 27 septembre 2015 à Mollina (Espagne) dans le cadre de la 16ème édition de la Univeristy on Youth and Development (UYD). Article en anglais écrit par Natalia Militello, membre de l’équipe du séminaire. « Light your rights: Reveal the social value of Youth Work » is a seminar organized by Youth Express Network (Y-E-N) and Roots and Routes (R&R) during the 16th edition of the University on Youth and Development. It took place between the 20th and the 27th of September in Mollina (Spain), where 22 young youth/social workers and young artists (coming from 9 different countries) gathered together to discuss about Social Inclusion, Social rights, the social value of youth work, and eventually, to promote all these topics through artistic tools. Being part of the UYD also meant that the participants had the opportunity to meet and discuss with other 150 participants coming from all over the world and who were participating in other trainings taking place at the same place. The programme of « Light your rights » dedicated the first three days in exploring Social Inclusion, Social Rights and youth work, and then provide the participants with artistic tools. First of all, through a simulation exercise, these young people tried 1) to define what social inclusion means to them and, 2) which are the elements necessary to reach social inclusion. It has to be said that during this activity the importance of social and youth work was already highlighted spontaneously by participants. Therefore the next step for everybody was to think about the most important moments on their roads to youth work. While sharing their stories (all of them emotional and powerful), the group suddenly realized that youth work is important for social inclusion not because a book says so, but because through youth work they were able to find the place where they belong to. The day after, it was time also to explore Social Rights, because we have understood that being given only money and a roof above our heads is not enough to feel part of a community. Through the game “Enter Dignityland!”, participants understood better how social rights and policies work. Despite the fact of being playing in a “fictional country”, all of them immediately related the social rights and their policies to their own countries, sharing and comparing the different realities. Another important finding was also that youth workers and youth NGOs need to cooperate with other actors (teachers, lawyers..) in order to promote and fight for Social Rights. During the fourth day, it was time for creativity! Artistic workshops were organized and the participants explored different ways to express: drawing, theatre, music… To put in practice what they had learnt, each one was asked to think about an episode of social exclusion they have experienced and to represent, in a one-minute performance, the feeling engendered by being excluded. And they did it! They showed how one minute can be meaningful, rich of emotion but especially, how such short time can be enough to transmit a powerful message. The fifth day was another opportunity to become even more creative, but this time as a group. Task of the day: to create ways and tools to promote Social Rights and social inclusion in artistic ways. Participants were able to show the results in the evening, in front of all other participants of the University on Youth and Development and the local community. Excellent slam poetry and dance, but above all, the message was clear to all and gave everybody the opportunity to think about social inclusion and Social Rights. Motto of the performance: « We have the light. You have the rights ». Au début du mois de juillet 201: 28 jeunes et travailleurs jeunesse venus de 19 pays différents se sont rassemblés dans le Sud-Est de la Roumanie, dans un village nommé Milcoveni. Pourquoi donc? Pour refléter sur l’importance de la Dignité Humaine, pour partager des expériences sur le travail jeunesse et pour développer des compétences en organisation d’activités concernant l’inclusions sociale des jeunes et l’accès aux Droits Sociaux dans leurs communautés. 7 jours de travail sous 40°C dans une municipalité de 300 habitants – bienvenu au T4T! L’activité était dédiée à l’exploration du concept de dignité et son application dans la vie de tous les jours. Les participants ont eu l’opportunité de s’exprimer sur l »indignation » dans des situations d’injustice, de refléter sur le danger de « ranger les personnes dans des cases » (stéréotypes/préjudices/discrimination), d’apprendre des compétences sur la modération de groupe et de mettre en pratique ce qu’ils ont appris: chacun ont du conduire un atelier de 45 min sur le sujet de l’inclusion sociale des jeunes. En résultat, selon les évaluations, les participants ont amélioré leurs compétences en Droits Sociaux, développé leur compétences en dynamique de groupe, amélioré leur confiance en eux, ont été inspiré par les histoires de vie des participants et le mode de vie de Milcoveni. Ce fut une semaine intense. Bravo à tous les participants qui ont atteint la ligne d’arrivée de cette semaine de défi! Le séminaire « Mind the Gap! Raising Awareness on Social Inclusion of Young People in Europe » a rassemblé 26 jeunes de 13 pays différents. Le séminaire était la première activité de support à la campagne « Inclusion Express » pour 2015 et s’est déroulée du 19 au 25 avril 2015 à BRCKO (Bosnie-Herzégovine) avec l’aide de notre association membre – PRONI Centre for Development et le soutien du Fond Européen pour la Jeunesse. Les résultats du séminaire incluent: une chanson enregistré pour la campagne, un journal en ligne, un plan d’activité pour le reste de l’année, un logo et un slogan « Social Inclusion is not an illusion » (L’inclusion sociale n’est pas une illusion) pour la campagne, une flashmob dans les rues de BRCKO et un défi « pyjama » pour les Droits Sociaux. Article écrit en anglais par Mirela Lupu, rapporteur du séminaire Mind the Gap! « Mind the Gap seminar brought together between 19th and 25th of April 2015 26 young people coming from 13 countries. The seminar was the first activity of Y-E-N’s work plan for 2015 and it took place in Brcko, Bosnia & Herzegovina with help from our member organization – PRONI Center for Youth Development. Mind the Gap was designed in order to prepare and relaunch « Inclusion Express » campaign and build the foundation for the rest of our work in 2015. During the week spent in Brcko participants had the chance to share about access to social rights of young people, social inclusion and social exclusion. A well as to experience policies on social rights, to discuss mechanisms of defending the access to rights, to visit NGO’s in Brcko that work on social inclusion and to use their skills in creating campaign tools for Inclusion Express. Participants also had the chance to meet and discuss about the campaign and the situation of access to social rights of young people with local politicians and decision-makers during Mind the Gap. Merci Audrey COECKELBERGHS pour ce film! Durant le séminaire « Mind the Gap », qui était désigné pour préparer et relancé la campagne « Inclusion Express », on a pensé à créer une journée d’ateliers où les participants devaient prendre les choses en main et utiliser leurs compétences en création d’outils de campagne que l’on pourrait utiliser en 2015. Après avoir évalué la situation actuelle de « Inclusion Express », les participants ont proposé une série d’ateliers qui incluaient un atelier visuel de création de logo pour la campagne. A la fin de la journée, il y a eu 14 logos de crées, prêts à être voté par le groupe de participants à « Mind the Gap ». Après le vote, le groupe a décidé de choisir les 3 premiers logos et de lancer un vote en ligne pour la version finale du logo. Le concours logo s’est déroulé 2 semaines en mai sur facebook et a nécessité que chaque personne intéressée à voter mette 1 « j’aime » sur le logo qu’ils ont préféré pour la campagne. Martin Harutyunyan, participants à « Mind the Gap » d’Arménie, a imaginé le logo gagnant, qui est maintenant devenu le logo officiel de la campagne « Inclusion Express ».